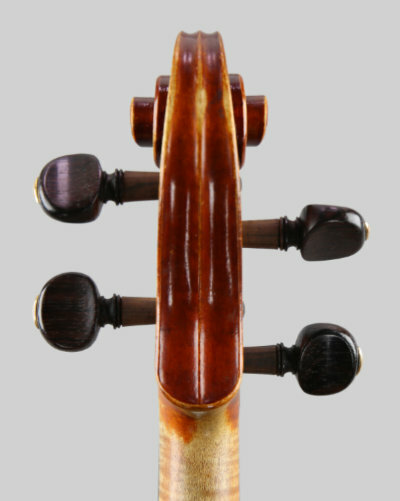 The violin is signed inside in ink on the lower right back. 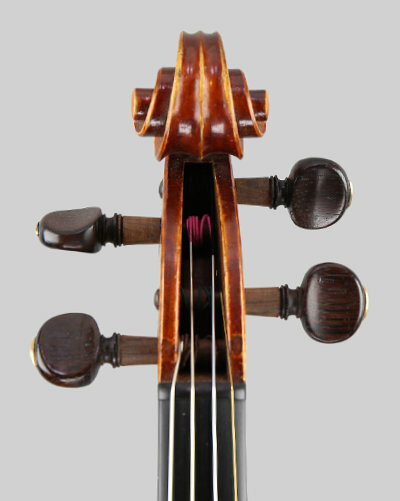 A fine quality violin by Charles (junior) Collin-Mezin made in 1932 and numbered 239 inside on the centre back. This example of his work is one of the Victorieux models, they have a very flat table where the bridge sits, many regard this model as the "golden Period" of his work, the bevels of the scroll and corners ore picked out in black, typical of this period. The violin is in near mint condition. The varnish has a lovely translucent quality, burnt orange in colour. The length of the back is 14.1/16 inches (357 mm.). Set up with dark rosewood fittings, including the chinrest and the original pegs, new Dominant strings and supplied in a new case. 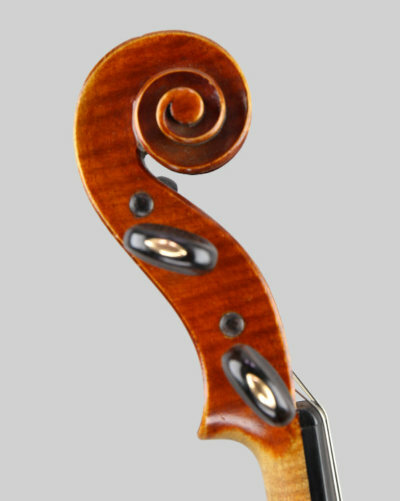 This violin is a pleasure to play, it is a well balanced violin to play, it has a good bass depth and a nice clear treble. An excellent violin to play and a good investment, recommended!